Rep. Beto O’Rourke (D-TX) has spent approximately $5 million on Facebook ads, more than any other candidate this campaign cycle. CNN reports that Rep. Beto O’Rourke, the Democrat running against Republican Sen. Ted Cruz in the Texas Senate race, has reportedly spent as much as $5 million in Facebook ads, more than any candidate in this campaign cycle. Sen. Cruz, who currently holds a five-point lead over O’Rourke, spent approximately $400,000 on Facebook ads in the same period. O’Rourke’s campaign reportedly spent $500,000 in one week between October 14 and October 20 to run ads on the social media platform. 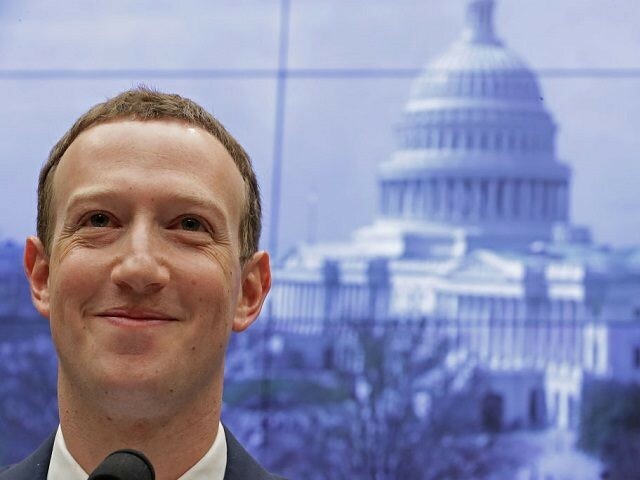 Since May, the Democratic National Committee has reportedly invested $401,770 in Facebook ads while the Republican National Committee has spent $328,016. $5 million has also reportedly been spent running 100,000 advertisements on President Trump’s main Facebook page since May, according to Facebook’s “Ad Archive Report” tool. Many of these ads were paid for by The Trump Make America Great Again Committee and others by Donald J. Trump for President Inc.
More than a quarter of a billion dollars has reportedly been spent on ads relating to “politics and issues of national importance” since May, highlighting the company’s growing dominance of the online advertising space. Tech giants Google and Facebook have dominated the online advertising market in recent years, an issue even noted by mainstream publications. In an op-ed published in the Wall Street Journal in 2017, Mark Epstein outlines why Facebook and Google’s control over the online advertising industry is bad for freedom of speech and diversity of thought. The piece echoes sentiments previously expressed on Breitbart News. Beyond advertising, Google and Facebook control how millions of people find their news. Americans are far likelier, collectively, to encounter articles via search engines and social media than on a news site’s home page. Google is used for nearly 90% of online searches in the U.S. A Pew survey this summer found that the four most popular social-media sites for getting news are Facebook, YouTube (owned by Google), Twitter (which has a Google partnership), and Instagram (owned by Facebook). No more than 5% of Americans use another social-media platform to get news. In October 2016, Donald Trump’s economic adviser Peter Navarro advocated breaking up “the new media conglomerate oligopolies that have gained enormous control over our information, intrude into our personal lives, and in this election, are attempting to unduly influence America’s political process.” Mr. Navarro chose the wrong target. Antitrust authorities ought to be concerned about the undue influence of Google and Facebook. Recent polls show that 49 percent of likely Texas voters support Senator Ted Cruz, while 44 percent support Beto O’Rourke in the upcoming Senate race.